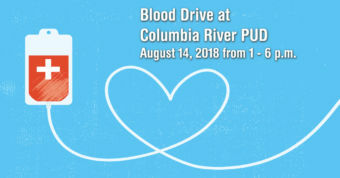 July 19, 2018 – Columbia River PUD and the American Red Cross will host a blood drive on Tuesday, August 14, 2018, from 1 p.m. to 6 p.m. 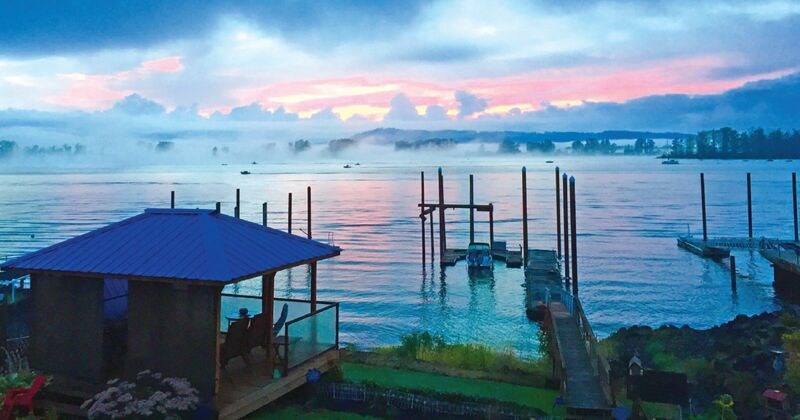 The drive will be in the Community Room at the PUD’s office in Deer Island. You can schedule your appointment online using sponsor code “sainthelens” or by calling 1-800-RED-CROSS. Donating blood is one of the simplest things you can do to help save a life. It takes about an hour to give blood. That hour could make a whole community thankful for a loved one gaining another birthday. Volunteer blood donors are the primary source of blood used for transfusions. These transfusions regularly go to those with cancer or other diseases. They also help premature babies, organ transplant recipients, and accident or trauma victims. Any healthy person 18 or older and weighing at least 110 pounds may be eligible to donate blood. 16- and 17-year-olds with signed parental consent may be able to donate. All donors must have valid identification. Blood donors can save time by using RapidPass. This allows them to complete their pre-donation reading and health history questionnaire online. It must be completed the day of the donation before arriving at the blood drive.